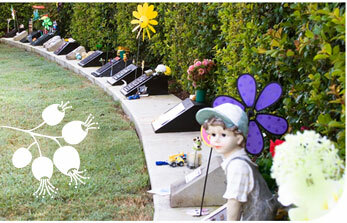 Gumnut Garden has been designed specifically for babies, toddlers and children up to 7 years of age. 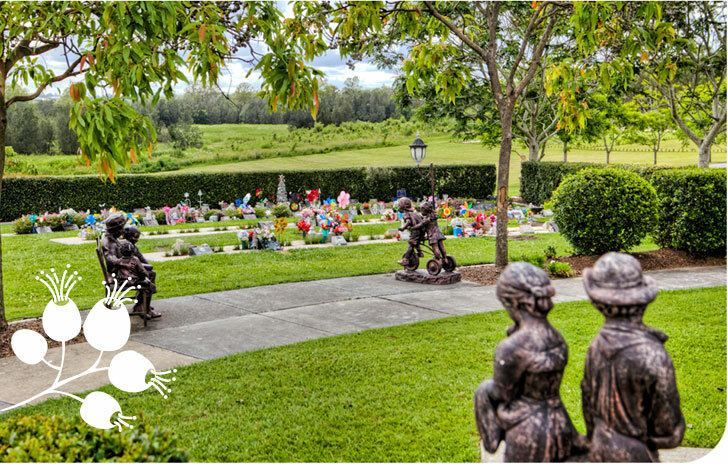 Visitors to Gumnut Garden pass a statue of a small boy and his sister riding a tricycle, their childhood innocence and play shared by the small dog who will forever be by their side. 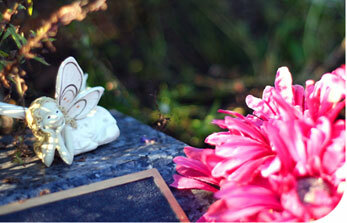 Memorials are often informal, seating accommodates siblings, parents and grand-parents. Hedges provide much-needed privacy and we encourage our visiting families to pick the spring wildflowers within Gumnut Garden to place at the graves of the children they have tragically lost.